One of New York City's most popular tourist attractions, the Metropolitan Museum of Art welcomes over 5 million visitors a year. 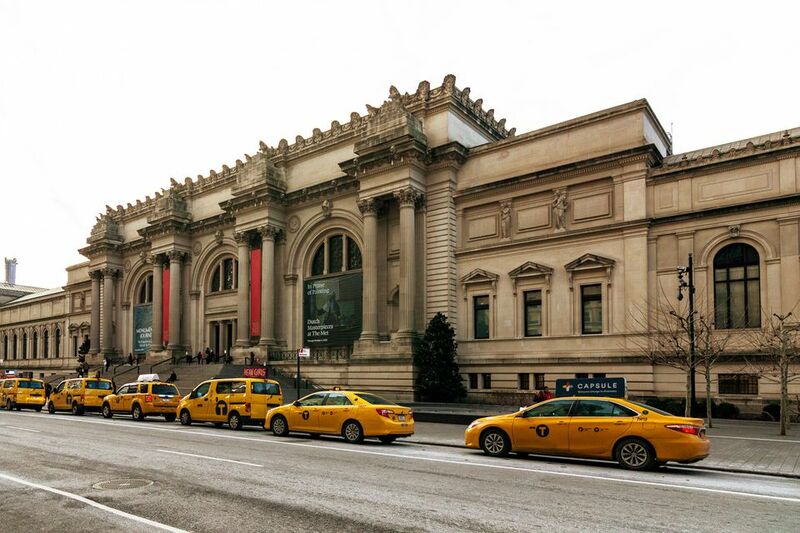 The Metropolitan Museum of Art's collection and special exhibits offer something for everyone -- from Ancient Egyptian vases and Roman Statues to Tiffany stained glass and Rembrandt paintings there is something for nearly everyone. If you're overwhelmed by the sheer size and breadth of the Metropolitan Museum of Art's collection, take a Highlights Tour. The contents of the Metropolitan Museum of Art's permanent collection represent a diversity of age, medium and geographic origin. The Egyptian Art collection includes pieces from 300,000 B.C. – 4th century A.D. Other elements of the permanent collection include Musical Instruments, Modern Art, and The Cloisters. To get a better idea of the variety and breadth of the over 2 million pieces of art that are part of the Met's collection, consult their website's Collection information, which includes a searchable database as well as online galleries of highlights from the various departments. The collections of the Metropolitan Museum attract more visitors than any other attraction in New York City, about 5 million per year. It is impossible to see the entire collection in one day, or even in a few days, so I recommend you choose an area or two of interest, or take the Museum Highlights Tour which occurs throughout the day, starting around 10:15 a.m. Notable Works: With such an extensive and comprehensive collection of art, it is difficult to pick out the highlights, however, the Met's website offers several suggested itineraries which highlight ways to take in a selection of the Museum's offerings. The museum hosts frequent special exhibits, and they can draw very large crowds, especially near the end of their run if they are popular and have gotten a lot of press. If you're trying to see an exhibit before it closes, consider arriving early in the day and visiting on a weekday if possible to reduce the likelihood you'll be stuck in line waiting and/or battling crowds for a decent view. If you're visiting the museum with kids, consider one of their programs for children and families. When the weather is nice, don't miss the chance to take a break on the roof to see the latest installation and even have a cocktail if you like. There's no way to see the whole place in a single visit, so I recommend having each member of your party pick out an exhibit to explore and/or take a tour. Nearest Subways:Take the 4/5/6 to 86th Street. Walk west to 5th Avenue and then south to 82th Street.